^ Bridgers, Jeff (2013-06-20). "Whistler's Butterfly" (webpage). Retrieved 2014-04-29. ^ a b New England Magazine (Feb 1904). 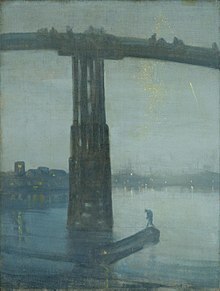 "Whistler's Father". 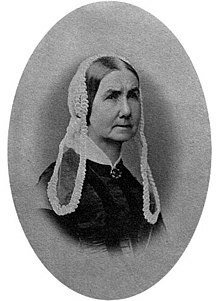 New England Magazine. Boston, MA: America Company. 29. ^ "Books: West Pointer with a Brush". Time. 1953-03-23. ISSN 0040-781X. Retrieved 2016-06-09. 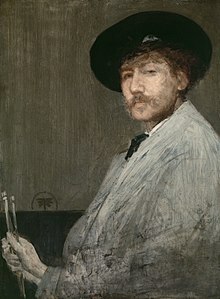 ^ "See The Correspondence of James McNeill Whistler". 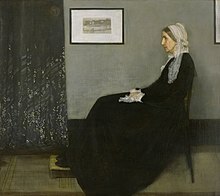 Whistler.arts.gla.ac.uk. 2003-10-14. Archived from the original on March 6, 2008. Retrieved 2013-07-15. ^ ""Harmony in Red: Lamplight" (1884-1886)". The Hunterian Museum and Art Gallery, University of Glasgow. Retrieved 30 June 2015. ^ a b "Biography of Ethel Whibley (1861-1920) University of Glasgow, Special Collections". 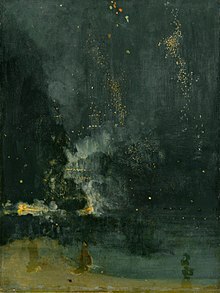 Whistler.arts.gla.ac.uk. 1920-05-21. Retrieved 2013-07-15.